There are many different special car brands on this planet. Several of these brands appeal to the imagination, but you can hardly see driving in our own country. One of these brands is Tesla. This is an American car brand that owes its name to the electrical technician and physicist Nikola Tesla. Tesla is a fairly young brand which was founded in the year 2003. This was done by Martin Eberhard and Marc Tarpenning. The brand was founded with the aim of launching an electric sports car based on the AC Propulsions T-Zero. Nowadays the brand is slowly but surely gaining fame and worldwide. Of course, this has everything to do with the fact that more charging poles appear and driving an electric car is therefore becoming increasingly interesting. Are you also an owner of a Tesla, but have you had the misfortune to be confronted with, for example, damage to your windscreen? Are you therefore also looking for experts for the windscreen replacement of your Tesla? Read more quickly and find out how we can be of service to you. What to do in case of window damage to your Tesla? A car is an object of use. This of course also applies to a Tesla. This ensures that it is not uncommon for damage to your car to occur. This may involve damage to the bodywork, but it is much more common for window damage to occur. The first thing you might think of is a windscreen replacement for your Tesla, but this is far from being required in all circumstances. Damage to the car window is caused in most cases by rubble. This ensures that the asterisk or a crack can by definition occur everywhere. It is precisely the location of the damage that ultimately determines whether or not the windscreen should be replaced immediately. 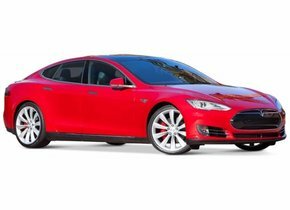 A windscreen replacement of a Tesla is therefore not always an immediate requirement. When windscreen damage occurs in the driver's field of view, your Tesla windscreen will almost always need to be replaced. In this case, it may happen that the driver is obstructed by, for example, a reflection of sunlight or the headlight of an oncoming vehicle when driving. In itself, this does not seem to be such a major problem, but it entails enormous risks not only for the safety of the occupants of the car, but also for those who are further on the road. The windscreen replacement of your Tesla before you go to the APK control is therefore absolutely essential in this case. Does the above make it unnecessary to replace your Tesla windscreen when the damage is not in the driver's field of vision? Yes and no. Of course, you would like your Tesla to always have the best possible appearance. For this reason it is always advisable to have a damaged windscreen repaired as soon as possible. Moreover, the stiffness of a car's chassis is largely determined by the glass it contains. In this respect, it is always worthwhile to have a damaged car window quickly replaced. How to save on windscreen replacement with a Tesla? In principle, you can easily choose to achieve savings with regard to replacing your Tesla windscreen. What many people don't know is that there is a difference between an original and an after-market car window. An original car window is the only one with a brand logo. This ensures that it may only be sold by an authorised trademark dealer. The result is a very expensive price that will not be one of the financial possibilities for everyone. After-market automotive glass guarantees you the same quality at a much lower cost. A windscreen replacement of a Tesla with an after-market car window from Autoglas Concurrent is therefore always the most interesting choice. Several Tesla cars have appeared on the market in recent years. However, it is above all to look forward to the brand's future. More and more countries and cities are investing considerable sums of money in equipping themselves with electric charging stations. The Tesla Model 3 was launched in 2017. This model was presented on 31 March 2016 and immediately became an absolute hit. In just a few days, 232,000 orders were rolled over to Tesla. Even if you are not yet the owner of a Tesla and you would like to buy one, you will undoubtedly be given the opportunity to do so in the future. Outsourcing windscreen replacement for the Tesla or doing it yourself? We offer our customers two different options. In the first instance, you can buy a cheap after-market car window from us and replace the damaged windscreen yourself, but you can also outsource this task. Outsourcing the windscreen replacement of the Tesla to us ensures that this is carried out by one of our FOCWA-certified partners. These experts guarantee you the best possible end result at all times and moreover, you can use your Tesla back on the road as soon as possible. Also looking for a custom solution for the windscreen replacement of your Tesla? Don't look any further and discover today what we can do for you!